Cygan-Delaney Catering has been serving excellent food throughout Southwest Illinois and St. Louis for more than 25 years. We provide catering for weddings, banquets, barbeques, business meetings, golf outings, and many other occasions. Have us prepare a lovely buffet style dinner for one of your events! We have hundreds of options to choose from when it comes to ice sculptures. If you have over 300 guests, a free swan is included. Hosting an event and don't want to cook? Have us drop off a delicious meal to satisfy your guests. 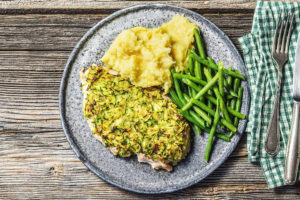 One of the many things that sets Cygan-Delaney Catering apart from other food service providers, is our use of old family recipes for our food choices. Our crispy golden fried chicken will be the best you've ever tasted, fried to perfection, and served to you within about one hour of preparation. Our Steamship Rounds of Beef and Prime Rib Roasts are exquisitely prepared in slow cook ovens, professionally hand carved, and served at the buffet table. They melt in your mouth. We also offer many ethnic choices such as Polish Sausage, Sauerkraut, and Golumpki (cabbage rolls). Depend on us to make any occasion special. We promise excellent service and superb food. 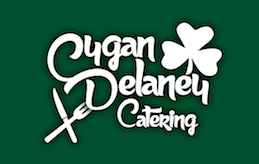 Cygan-Delaney Catering is one of the most trusted businesses in Southwestern Illinois. We serve the St. Louis Metropolitan, Metro East, and Southern Illinois areas. Check out our weekly healthy meals to go!